In July 2008, artificial joint maker Zimmer, Inc. temporarily suspended sales of its Durom Cup hip replacement system to investigate reports of problems and early failure rates from patients and orthopedic surgeons. The product had only been on the market for two years. In August 2008, after a month-long investigation, the company chose not to issue a Zimmer hip recall, but instead re-released the Durom Cup hip implant back onto the market accompanied with updated surgical instructions. Zimmer stated that the Durom Cup was not defective, and that any problems with device dislocation and loosening were the results of surgeon error. In June 2006, Zimmer started selling the Durom Cup for total hip replacement surgeries in the United States. For three years prior, the component had been used in hip resurfacing procedures in Europe, but it was never approved for the bone-sparing hip resurfacing surgery in the United States. 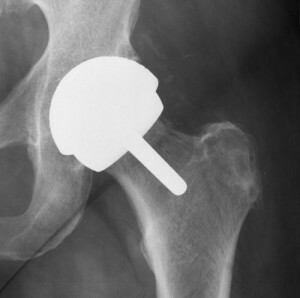 The new metal-on-metal hip replacement system was advertised as being a superior option to older metal-on-plastic and metal-on-ceramic devices, with longer durability and improved strength and flexibility. A single piece of material made of cobalt chromium alloy, it was meant to be used in combination with Zimmer’s large diameter heads, which would fit inside the cup in the hip joint. As early as 2007, however, the company began receiving reports of Durom Cup complications. Dr. Lawrence Dorr, a prominent orthopedic surgeon and former Zimmer consultant in Los Angeles, was one of the first to question the safety and durability of the Durom Cup. Having performed over 5,000 hip replacement surgeries, he quickly noticed problems with the new device. Within only a few months of implanting it in some of his patients, he discovered they were returning to his office with complaints of severe pain. Dr. Dorr told Zimmer that several of these patients needed hip revision surgery—more than would be expected. X-rays were showing that the socket was separating from the hipbone, rather than fusing with it. The new hip was intended to last for up to 15 years, but instead, was causing pain within a few months to a couple years. According to the New York Times, Zimmer, Inc. responded to Dr. Dorr’s complaints by stating that the problem was with surgeon technique, not with the device itself. Many considered this an unusual response, since Dr. Dorr was a veteran of hip replacement surgeries, and because he was a chosen consultant to the company. In 2008, Dr. Dorr decided to take further action. In April 2008, Dr. Dorr wrote an open letter to the members of the American Association of Hip and Knee Surgeons. He noted that out of 165 Zimmer Durom Cup hip implants he had performed, 14 required revision surgeries within two years. He also added that during the revision surgeries, he discovered in many cases that the cup had failed to fuse to the bone, and instead was coming loose, potentially because of a faulty fixation surface and other design issues. In May 2008, Zimmer finally responded by sending a letter out to healthcare providers, stating they were conducting an investigation on the device and the complaints associated with it. They examined data from 3,100 patients who had received a Zimmer Durom Cup—approximately 10 percent of all U.S. procedures involving the device up to that time. Through this letter, the company suggested that the problems associated with the Durom Cup were caused by incorrect surgical technique—not by any defects in the design of the implant. They also offered surgeons classes on surgical skills and online training courses. Not everyone agreed with Zimmer’s conclusions, however. Dr. Dorr was quoted as saying, “It is a bad design. I saw one of Zimmer’s engineers at a meeting, and I told her that you should pull this cup because you are crippling patients.” Dr. Dorr also wrote in his letter to the American Association of Hip and Knee Surgeons that the fixation surface was not good, and the “circular cutting surface on the periphery of the cup” was preventing it from fully seating into the socket. After Zimmer re-released the Durom Cup following the temporary suspension of sales, many patients who had been injured filed a Zimmer hip replacement lawsuit to recover damages. On June 9, 2010, the United States Judicial Panel on Multidistrict Litigation (JPML) consolidated all federal cases into one court in the District of New Jersey. The company has reportedly spent $600 million on Zimmer hip settlements. An estimated 13,000 patients have been implanted with the Durom Cup in the U.S. since 2006. Despite settlement agreements, the manufacturer maintains that the Durom Cup was not defective, and continues to contest allegations against the product. Zimmer hip injury lawyers are currently holding consultations with potential plaintiffs to advise them of their legal rights to compensation.